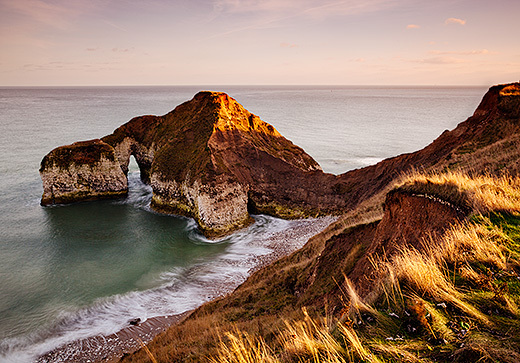 I spent a couple of days on the Yorkshire Coast around the Bridlington and Filey area over the weekend and as part of the trip filmed this time lapse clip of the tide coming in at Flamborough Head. The video compresses about 90 minutes of real time down to 25 seconds. Later in the afternoon I shot some stills too. This was my favourite, late enough in the afternoon for sunset colours just to start appearing in the sky, but early enough to still get some warm, low angle, autumn light on the cliff tops.